A NOVEL evaporative methodology for mass spectroscopic (MS) analysis, replacing solid phase extraction (SPE) for preparing environmental samples, is described in a paper available from Genevac. 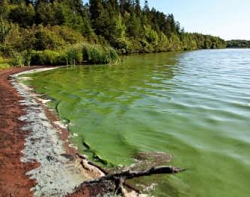 In recent years high performance liquid chromatography coupled with mass spectrometry – or HPLC/MS/MS – and ultra performance liquid chromatography (UPLC) have become the techniques of choice for the detection of algal toxins in water. The laboratory techniques offer a useful combination of sensitivity and specificity. The lab work behind most published studies shows that SPE remains the most common method for preparing environmental samples for MS or UPLC analysis. However this can be time consuming, says Genevac. In the paper a direct solvent evaporation method, using the Genevac EZ-2 evaporator, is evaluated as a means to reduce sample preparation time before MS analysis. The authors show that using the EZ-2 for sample preparation reduces processing time, simplifies sample preparation, and eliminates variability in the water content of the final solution. They conclude that the direct evaporative sample method offers advantages over SPE by eliminating the sample clean-up step, improving reproducibility, decreasing analysis time, minimising waste generation, and being more cost effective. It also reduces the risk of cross contamination and analyte loss by minimising sample handling. A copy of the customer article Detection and Quantification of Algal Toxins in Surface Water can be downloaded from www.spscientific.com/Articles-And-Technical-Papers/ – please note that registration is required.